I started my skiing life at my local dry slope in Edinburgh at the age of 4. After many school programmes and ski lessons, I progressed to the local race club where I got heavily involved in alpine racing. With trips to Europe for ski training and racing, I joined the British children’s team at 13 and competed all over Europe in many different resorts from Bulgaria to France. At 16 I joined the national team and competed until I was 19 in alpine skiing. 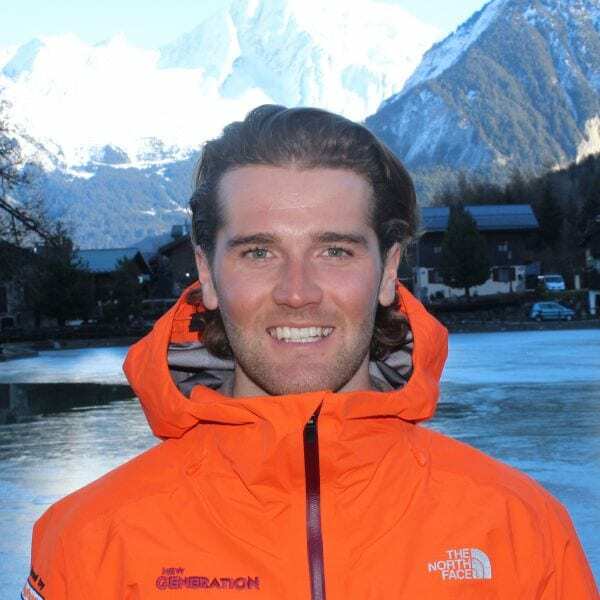 Then after a trip to Australia, I found I wanted to change my goals and moved to ski cross where I competed and coached til I finished my instructor training and started working for New Generation Ski School. With over 20 years of experience in the ski industry, I also bring my knowledge of extreme sports, including skydiving, BASE jumping, and alpine mountaineering. I’ve recently started my mountain guiding qualifications which consist of both skiing, climbing, and orienteering. If you don’t find me on a cruisy blue (although I hate to admit it, they are my favourite) you’ll find me climbing up the mountains in the mecca of extreme sports, no doubt with my BASE rig on my back. The skiing environment can be harsh, don’t let the sun, cold or altitude stop you from enjoying all a ski resort can offer. Remember to bring sun cream, warm clothes, and water to make the most of your lesson. Fancy a private lesson with Cammy on your next holiday?